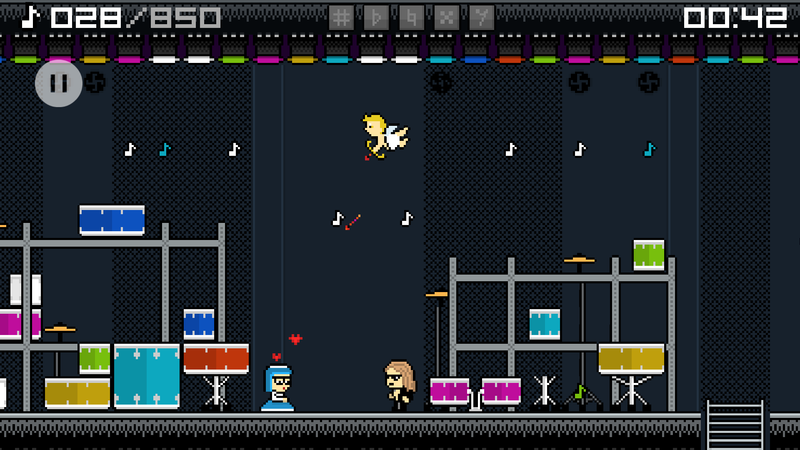 X-Drums is an old school pixel art platformer where you are playing as a Japanese drummer, who is picking up notes on his way to Los Angeles. 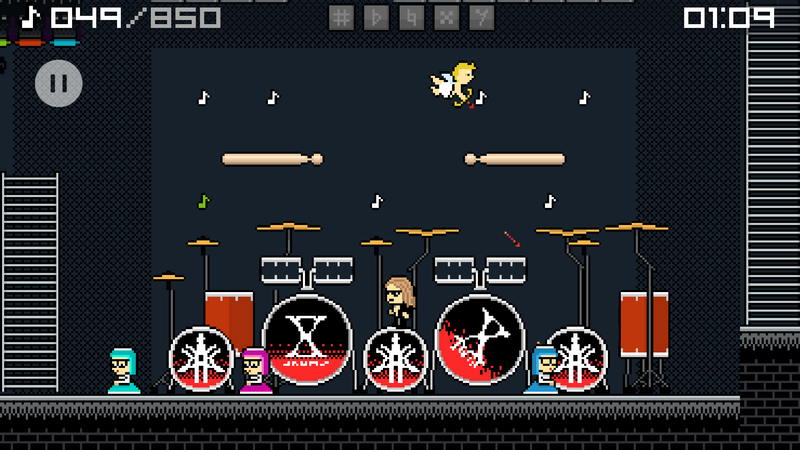 The «X» letter in the name of a game was taken from X-Japan the legendary Japanese rock band, and the band leader, Yoshiki, who is a drummer, and classically trained pianist, became a prototype for X-Drums’ chibi hero. 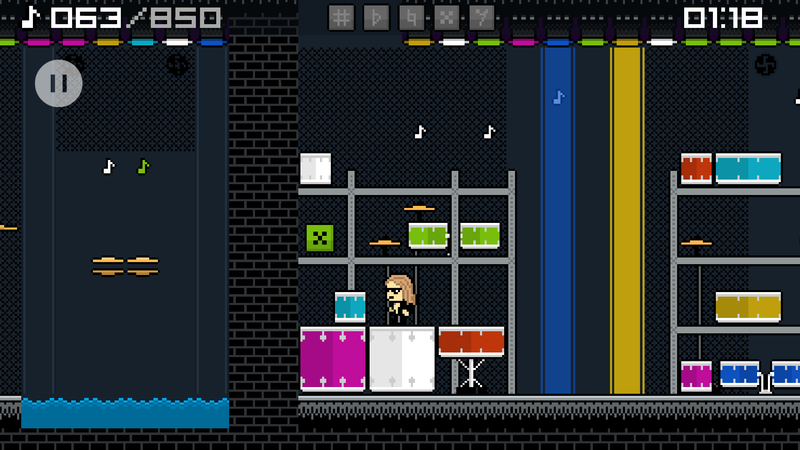 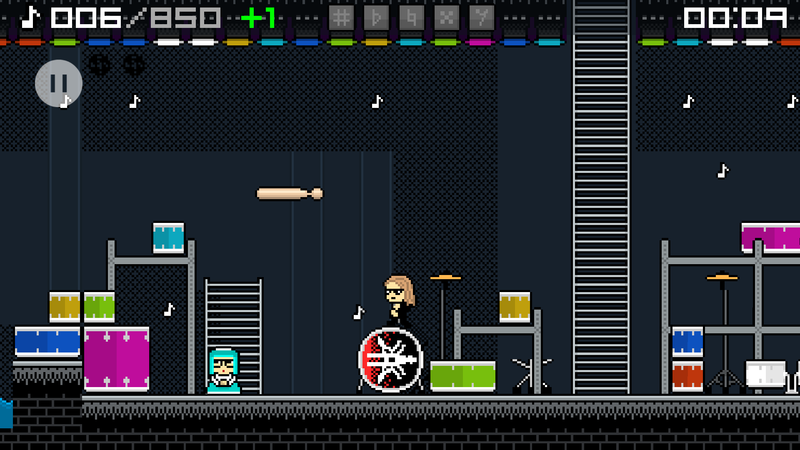 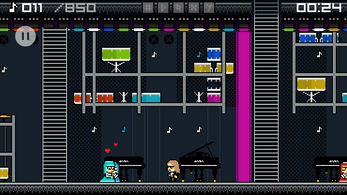 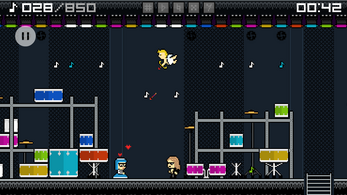 The game space is filled with drums, hi-hats, drum sticks and piano keys — all of which are meant to be used as platforms. 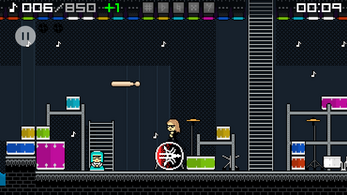 The mission of the game is to pick up enough notes to leave Okinawa Island by helicopter, but the mission is not as simple as it first seems. 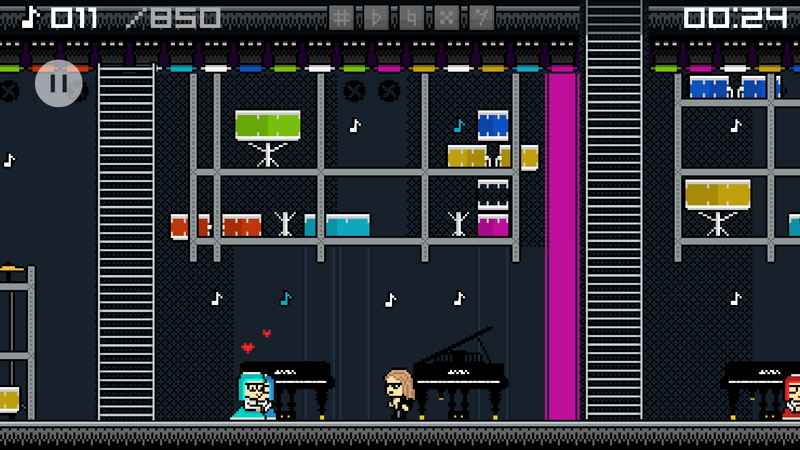 There are no enemies in the game, but the place is full of cute fangirls and vicious cupids who want to stop hero and take away his notes. 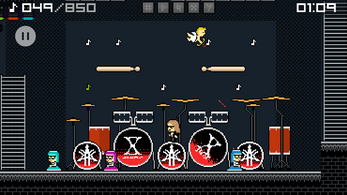 X-Drums was made for X-Japan fans, as well as for all gamers who love old-fashioned 8 bit platformers in the spirit of 90s like Mario Bros and Sonic The Hedgehog.